Game update 1.05 is now available for MLB The Show 17, the second game update made available in the last week. Like update 1.04, this update covers a wide range of game areas: gameplay (online and offline), stadiums, crashes, and more. Game update 1.04 is now available for MLB The Show 17 and comes in at a sizable 1.7 GB. The patch addresses numerous issues across gameplay (online & offline), user interface, presentation (stadiums), Diamond Dynasty, RTTS, and more. MLB The Show 17 has released game update 1.03. This update addresses gameplay, uniform, and functionality issues. 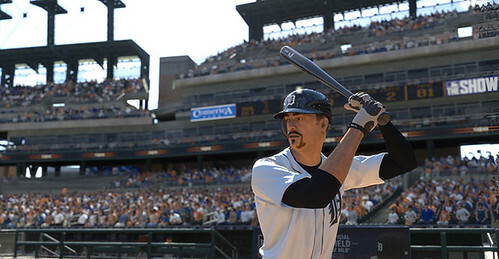 Among the most notable improvements include online gameplay fixes, adding in names to the back of the Tigers' road uniforms, as well as rectifying issues with year to year saves and message handling. 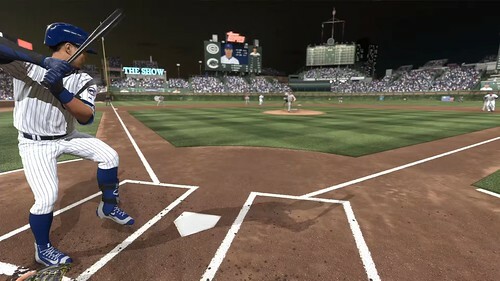 In the final Twitch livestream before the release of MLB The Show 17, the development team broadcasted what they referred to as a "Mega Stream." In the lengthy broadcast, the devs showcased graphical improvements (including lighting, faces, grass tech, classic stadiums, & more), Road to the Show, and the annual developer tournament. Ahead of Thursday's MLB The Show 17 Road to the Show Twitch livestream, Senior Designer Steve Merka has posted a new entry at the PlayStation Blog detailing some of the changes coming to the mode this year. 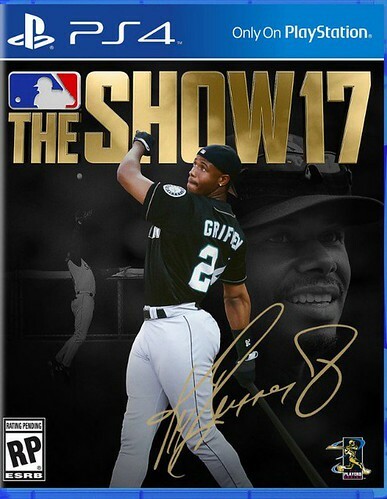 In MLB The Show 17, RTTS will play out like a RPG (Role-Playing Game) allowing the user to customize the look, playing style, and path of their created player. The ultimate goal is to become a Hall Of Fame player and make it to Cooperstown. Continue on to read Merka's blog. 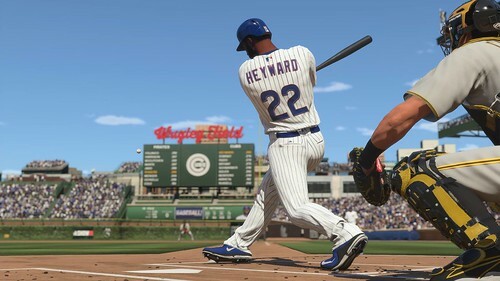 After learning of Franchise Mode improvements such as Critical Situations, Player Lock, and Quick Manage coming to MLB The Show 17 in Monday's GameStop video, a new entry at the PlayStation Blog provides the first details on Player Quirks. Based on this early information, Player Quirks appears to be similar to the 'Badge' system utilized in the NBA 2K series - a way to give players specific traits and skills beyond what ratings alone can provide. 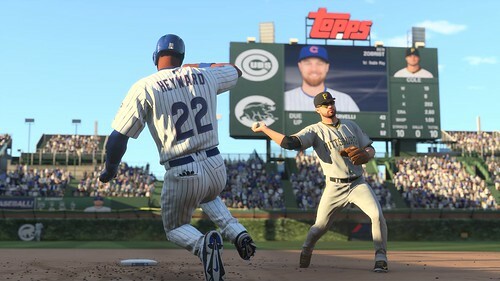 In this week's Gamestop MLB Mondays video, Designer Matt Schaeffer provides a first look at three new Franchise Mode features: Critical Situations, Player Lock, and Quick Manage. As Schaeffer notes in the brief video, the improvements are designed to create quicker, more impactful game experiences while allowing the user to maintain full control over their team. 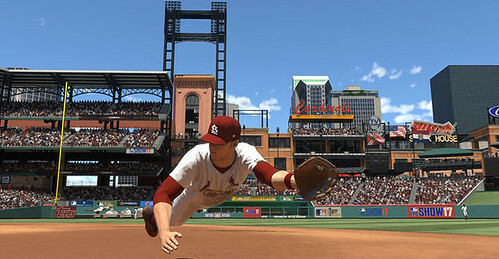 Critical Situations - As simulating games users can hop into late inning, game deciding moments instantly. Also includes lighter moments such as statistical milestones, including completing the cycle, for example. Player Lock - Can play controlling only your 'favorite players.' This is similar to Road to the Show and also Player Lock as found in NCAA Football, for example. Quick Manage - New text-based simulation mode. User can hop in and out at anytime, while having the full managerial decisions at your disposal, including pitching around batter, calling for hit and run, etc. In the latest Gamestop MLB Mondays video, MLB The Show 17 Designer & Script Writer Kirby St. John reveals some of the improvements coming to commentary & presentation. Full MLB Network broadcast package including announcers, on-screen displays, and theme music. Two new color commentators have been added to the game: MLB Network's Harold Reynolds and Dan Plesac will be joining returning PBP man Matt Vasgersian. Reynolds & Plesac will be replacing Eric Karros and Steve Lyons. Unique to the MLB Network experience will be Showtrack, a new presenation tool to help analyze and show off the action on the field as it happens, with the statistics behind the athletic feats. 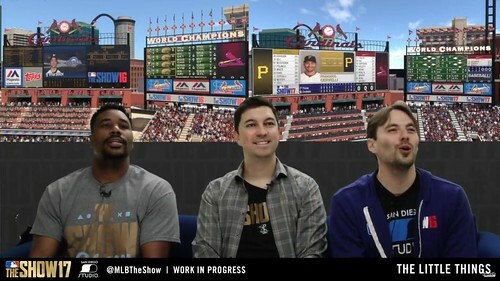 On Thursday's MLB The Show 17 Twitch livestream, Designer/Community Manager Ramone Russell and Live Content Producer Stephen Hass were joined by other game designers to discuss 'the little things' - aspects of the title that are not 'back of the box' worthy, but would aid in game immersion for the user. 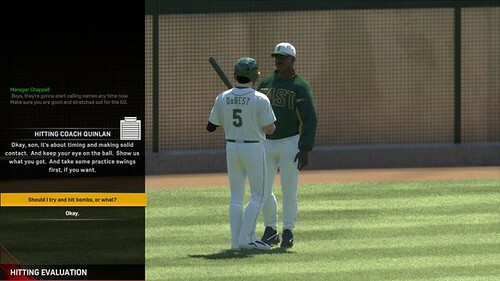 Some of the items mentioned in the 90+ minute stream: new legends include Jason Giambi & Luis Aparicio, a look at every uniform combination in the game, improved stadium Jumbotron graphics, improvements to Diamond Dynasty, and much more. 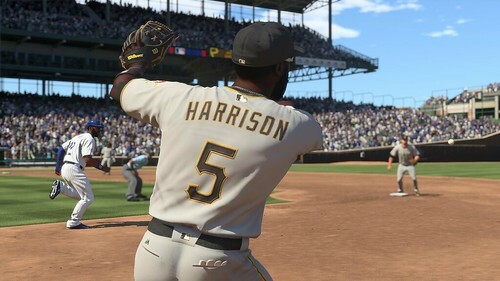 The latest Gamestop "MLB Mondays" feature reveals some of the 'little things' coming to the game; aspects that will aid in the depth, immersion, and presentation for the user. Some of the aspects disclosed: 500+ Diamond Dynasty cards will be released during the season ("many" of which will be brand new), carryover saves can be used from the cloud or console this year, and the return of classic stadiums such as the Metrodome, Shea Stadium, & Yankee Stadium. More details will be announced and/or covered in greater detail on Thursday's Twitch livestream. 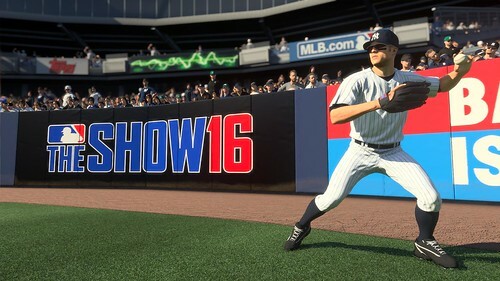 Game update 1.02 is now available for the PlayStation 4 version of MLB The Show 16. This update fixes several game freezes and addresses the dreaded 'Challenge failed' issue. The development team continues to work on improving the online experience behind the scenes and acknowledges the recent struggles users have been facing. To reward the patience of fans, all users who have played MLB 16 prior to Friday, April 8 will receive 5,000 stubs and 10 standard packs for use in Diamond Dynasty. This week's MLB The Show 16 livestream focused on the two new ways to play Diamond Dynasty: Battle Royale and Conquest. Battle Royale is a double-elimination online event that users must buy into via tickets earned in-game. The better the user performs, the better the exclusive rewards they can earn. Users will hand-pick their roster through a 25-round draft, similar to that in Madden NFL's Draft Champions mode. 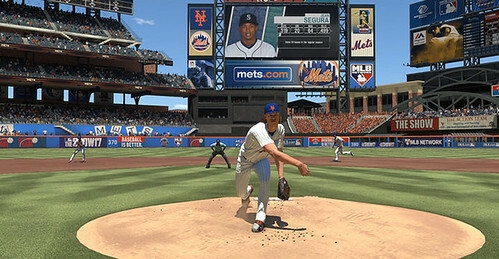 Conquest is a single-player mode where users will attempt to earn 'fans' to help them conquer North America by capturing and defending territories against all MLB teams. Games in this mode are only three innings with the user's Diamond Dynasty squad (no draft). Narrated by developer Lance Leahy, this week's MLB The Show 16 video blog showcases two new ways to play Diamond Dynasty: Battle Royale and Conquest. Battle Royale is a competitive PvP experience where users will build their team in a 25-round draft and compete in shorter three-inning experiences. The more wins achieved, the greater the rewards. Conquest resembles turn-based strategy games as users will attempt to earn fans to take over control of North America. This week's MLB The Show 16 developer livestream focused on the improvements coming to Franchise Mode. The highlighted improvements include morale, real-life budget dynamics, and revamped GM goals. Morale plays an important role as you developer your roster as it will have an onfield effect on player performance. Player morale can be influenced by seven overall factors, including the player's role on the team, coaching staff, and the team's city. An improved revenue and expenditure model includes real-life budget dynamics including revenue sharing and the luxury tax. Revamped scouting and GM goals, as well as improvements to player progression, contract logic, and call-up/send-down logic round out the Franchise Mode improvements discussed in the livestream. 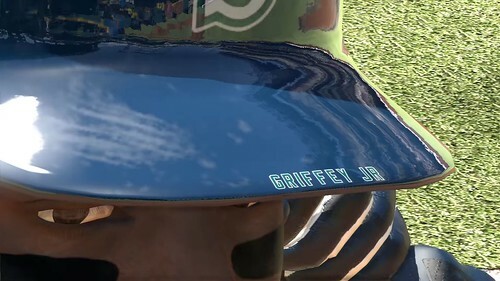 Online franchise did not receive any of the upgrades mentioned in the livestream, however online gameplay stability has been improved for MLB The Show 16. 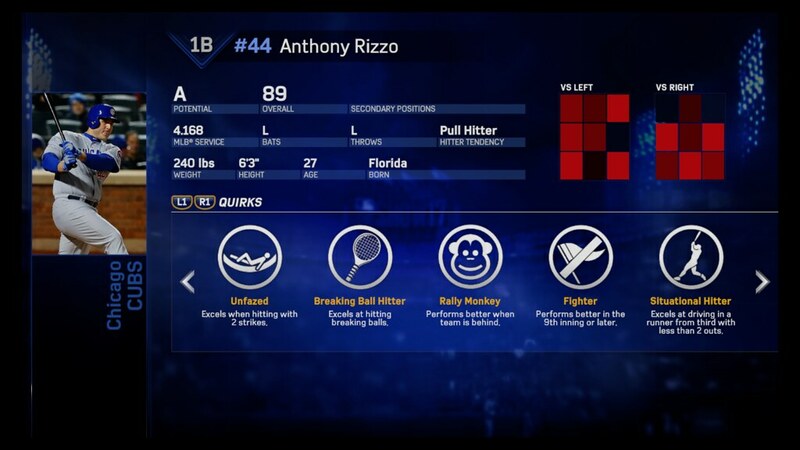 Ahead of Thursday's developer livestream, MLB The Show 16 has revealed in brief detail some of the improvements coming to Franchise Mode. Player Morale will play an important role in building your roster as player happiness (or discontent) can effect their performance on the field. The contract negotiation screen allows for real-time evaluation of the player's interest level as you change terms of the potential contract. Improved stat tracking and player career stats includes WAR and a full array of stat filters.